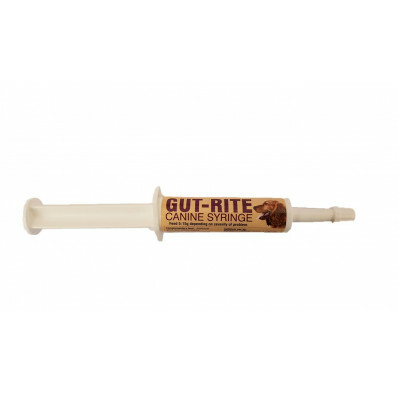 Canine Gut-Rite Syringe - 15ml. An all natural fast working Bio-Probiotic supplement for animals under digestive stress or other bacterial problems. 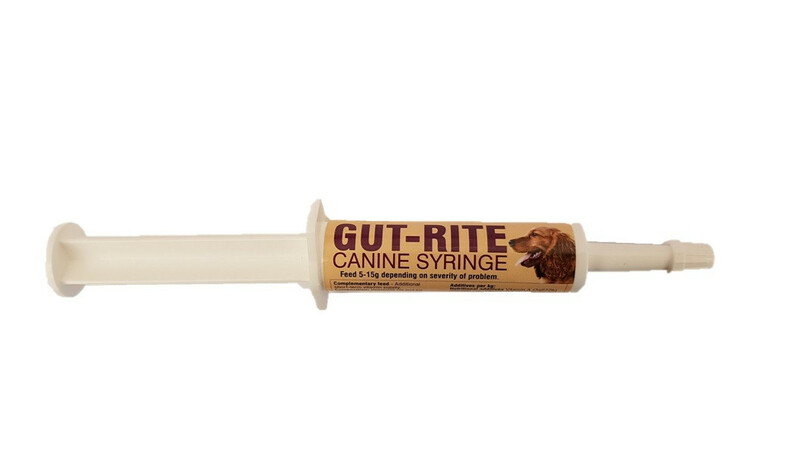 The syringe can be used for any episodes of digestive disturbance (e.g. diarrhoea) and is to be used dependent on the size of the dog and severity of the situation. Recommended 5-15g dependent on size of dog and severity of condition, repeat if required.